When Colonel Delmar T. Spivey entered Stalag Luft III in late July, 1943, he was a full colonel and twice the age of most of his fellow inmates. The senior staff immediately realized that his seniority and West Point training would catapult him into prominence as a leader. 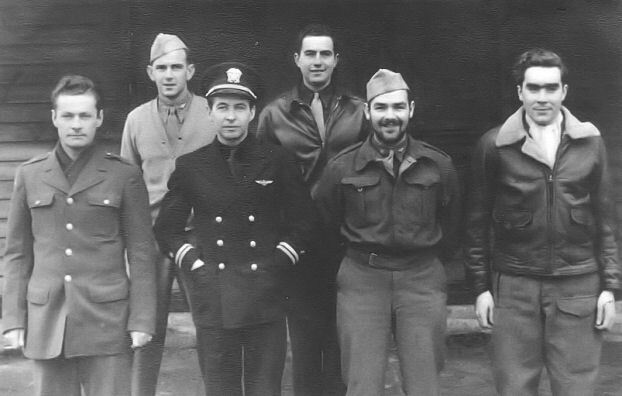 To reduce the chances of his inadvertently giving away important secrets to the Germans, the staff quickly briefed him on the entire spectrum of camp activities, including the vital covert intelligence and escape work that had been painfully developed during the three years since the first Allied fliers were captured by the Germans. Spivey stood transfixed as he looked into the gaping hole of the entrance shaft to tunnel "Harry." It descended thirty feet straight down, shored every inch of the way with bed boards taken by quota from the prisoners. He was told also about its overall design - projected three-hundred-foot length, electric lights, self-contained storage and work rooms, and specially designed railroad trolleys to carry the dirt back out of the tunnel as it was being dug. He was even more surprised to learn that the tunnel he was staring at was but one of three such undertakings, and that the entire effort was tightly orchestrated by an interesting character code-named Big X. During succeeding days he learned all about the prisoners' forgery operation, covert communications with London and Washington, impressive education and theatrical programs, and robust play on the athletic field. Two weeks later Spivey assumed command as Senior American Officer (SAO) of Center Compound. Still dazzled by what he had seen, he reflected on the need to record for posterity the amazing activities he saw at every turn. If nothing else, he reasoned, the account might make it easier for the next generation of prisoners and save them the trouble of having to "invent the wheel all over again." As logical and intriguing as the idea sounded, Spivey knew there were great risks. The Germans obviously would love to get their hands on so revealing a document. He nonetheless decided to proceed with the effort, knowing that everything hinged on the careful observance of numerous precautions and safeguards. As a first step he appointed three lieutenants to serve as compound historians: Thomas E. Mulligan, Lyman B. Burbank, and Robert R. Brunn. Their task was to record and enter in a log everything of significance that happened each day. To preclude the log's falling into German hands in any usable form, certain information was coded by means of a simple but effective technique. After the three men agreed on the items to be recorded and were satisfied with the way it all looked on paper, they initiated a clever routine. One man took the first word of the text and every third word thereafter and wrote them on a sheet of paper without any capitalization or punctuation. The second man started with the second word and did likewise, and the third man wrote down every third word. The three strings of nonsensical prose, of and by themselves, meant nothing and revealed nothing. The three sheets of paper were then hidden in separate locations, some in hollowed-out table legs, others in prepared wall cavities, and still others found their way into nooks and crannies of every imaginable description. There they remained until the camp was hastily evacuated in late January, 1945. They were gathered up and transported westward with great effort and considerable risk as the Germans marched the prisoners away from the rapidly advancing Russian armies. These documents served as the basis and initial impetus for the true story related here. In addition to these documents, I drew upon numerous other firsthand accounts gathered from personal interviews, diaries, logs, and letters, both private and official, as well as recently declassified government documents. Every effort has been made to let the evidence speak for itself. Arthur A. Durand, STALAG LUFT III - THE SECRET STORY, Louisiana State University Press, New Ed edition (October 1999), used with permission of the author.